Big, ugly speakers may become a thing of the past, if Linn has its way. Linn has unveiled two new integrated Exakt systems with an emphasis on customisable looks: the Linn 530 and Linn 520. 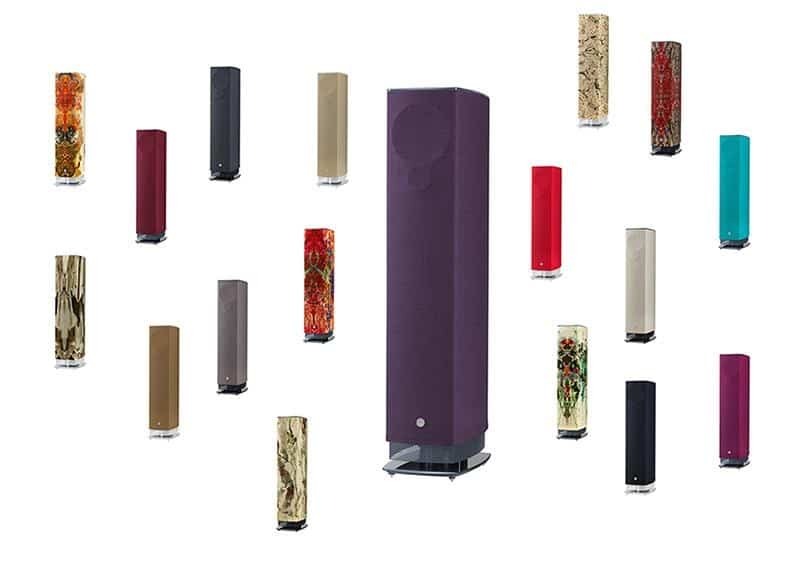 Each system comprises a Linn Akurate Exakt DSM hub and a pair of active floorstanders. The 530 are three-way speakers with 100W amplification per channel, Exakt electronics and an Isobarik bass system, all crammed into a 30-litre cabinet. Same deal with the 520s, only those are two-way speakers with a 20-litre cabinet. 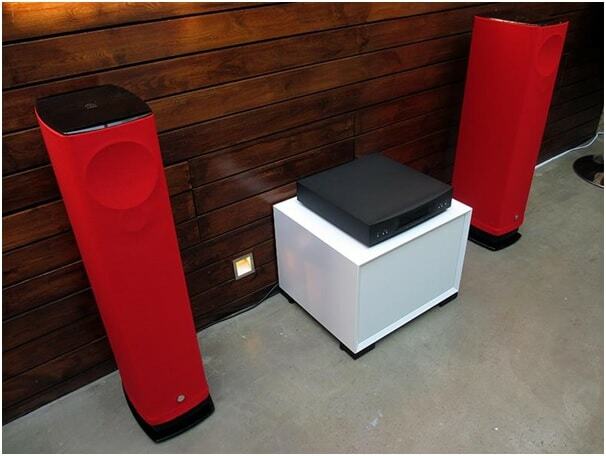 The speakers have jewel-cut glass stands and top plates in a choice of three finishes – grey, white or black. 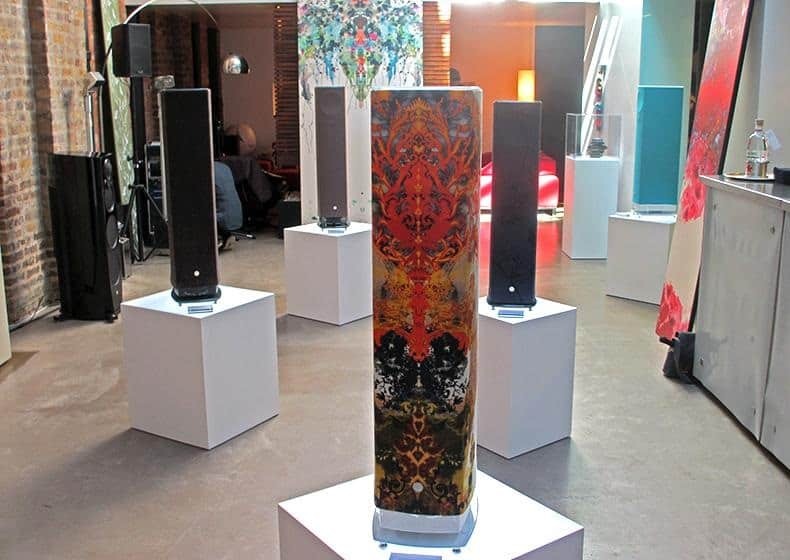 The customisation goes further: the speakers have removable ‘Linn Fabrik’ textile coverings. There are three types of Fabrik in eleven colours, chosen for acoustic as well as aesthetic reasons. One-off customer designs will be available in the future, but for now Linn has partnered with fabric designers such as Harris Tweed. Finally you have speakers to go with your pipe and whiskey. Worried about the acoustics? The Fabrik is secured to prevent it from vibrating, while acoustic resistance and frequency-dependent absorption is compensated by Exakt software. Then there’s Linn’s Space Optimisation+ software, designed to remove a room’s unwanted distortions. “It’s for those who seek simplicity, who just want high performance in a simple package. It’s still hi-fi, but what matters to some is the number of boxes, the intrusion into living space, the ease of use for the family – these have become bigger considerations. 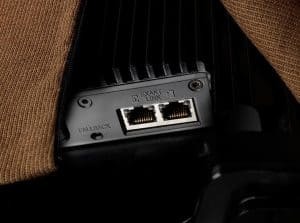 It’s not that Linn has a different view on what hi-fi is, it’s that customers have a different view. “People’s needs are changing. The biggest change that we’ve seen is that it’s no longer just a man who comes into a hi-fi shop saying, ‘I’ll take the biggest speakers you’ve got’. It’s a couple that shops together. The home has become something that is governed by all the members of the household. I don’t like this ‘wife acceptance factor’ idea.